Join us and get your umbrella in tip-top strolling shape for our 2nd Annual Earth Day Umbrella Stroll! Culture Coffee Too has offered to host a crafting social this year. We’ll have stickers, paint, and paper to help you create a one-of-a-kind creation for this springtime celebration. 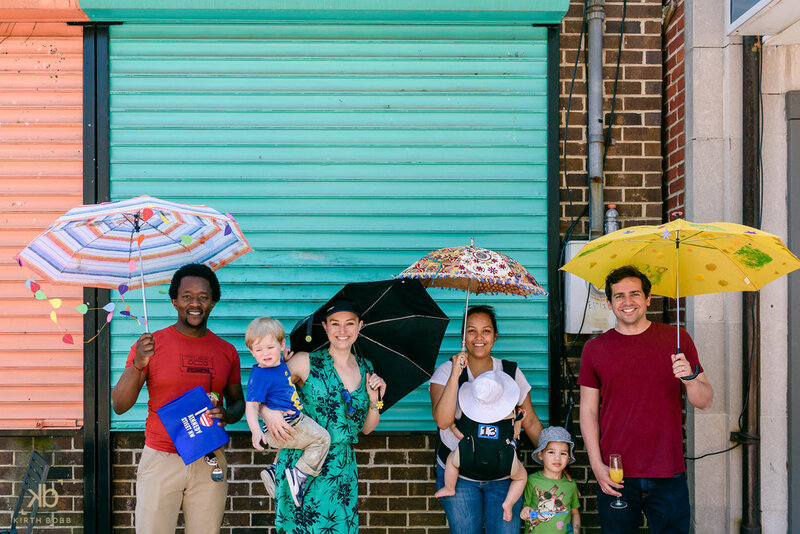 Bring your umbrella and your most creative ideas to this social. Light refreshments will be provided. As a reminder, we’ll be awarding prizes to the umbrellas in the following categories. Consider “greening” your creation or dedicating your umbrella to your favorite small business or local community-based institution. We hope you’ll join us at 14th and Decatur, outside of Andromeda Transcultural Health, at noon on April 20th for this event! Have questions? Send our Executive Director an email at info@uptownmainstreet.org!